OMG! We just realized that we’ve been doing these GIFI posts for one year! It’s crazy how much time flies when you’re having fun. Thank you to everyone for giving us such positive feedback about these reviews – we really love doing them! – C&A. I’m discussing strictly skin care this round! So this one is a twofer, k guys? I was first introduced to Manuka honey skin products when I visited New Zealand (read all about my trip here), and like I am with skin care products – I must try. Granted, at the time I mainly bought it because it is native to New Zealand and Australia and there I was all caught up in the culture. But I ended up really liking it (it was a body butter that smelled heavenly) and was sorely disappointed when I ran out of the product, thinking I’d have to return to New Zealand to get more. Which, might I add, I am not opposed to in the least. 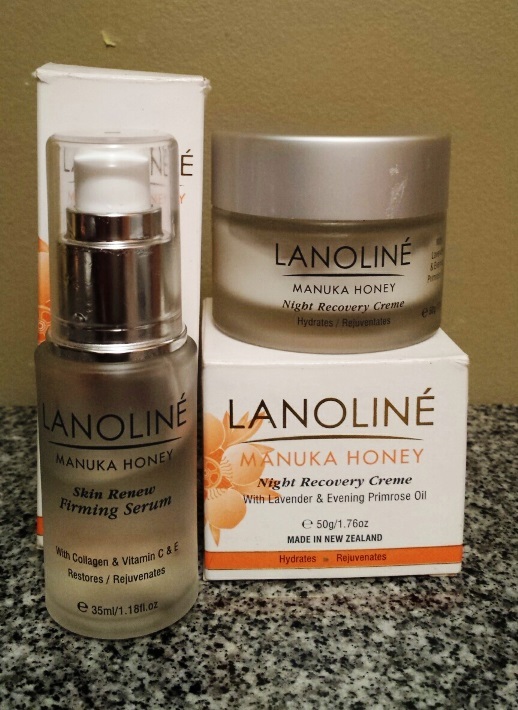 I came across more Manuka Honey products while browsing Winners beauty section and didn’t hesitate to purchase the Lanoliné Manuka Honey Night Recovery creme, since I was on the lookout for one. Not too long after, I found myself purchasing the Lanoliné Manuka Honey serum. And… Yes – I visit Winners a lot. The store is amazing. Pearson & Craig’s LANOLINE brand of Natural Eco-Skin Care products are uniquely New Zealand… LANOLINE products capture the best that nature can provide, N.M.F’s – Natural Moisturising Factors. So I’m really committed to using serums because I want to continue to be proactive with my skin care, especially as I slowly creep closer and closer to 40. Stay ahead of the skin game, if you will. Anyway, where was I? Ah yes – the serum. Where do I begin? How about here – it’s amazing. It leaves my skin firm and feeling soft and fresh. I pat it on with my fingertips in upwards motions, and once it has been completely absorbed by my skin I can’t stop caressing my face! It stays true to the name – Skin Renew Firming Serum. I use it every night religiously and love the fresh and youthful appearance of my skin. Other pros – it is inexpensive ($9.99) and a little goes a long way. I normally use 2 pumps, but 1 is most likely enough. I’m Libra – I need to even things off so I go with 2. Also – it’s a substantial amount. 35ml of the product will last for months upon months. Enter the Night Recovery Creme to complete my day. Well – literally, because I use it at night time. Haha. First off – it has lavender in it so it smells lovely. It’s not an overpowering scent but just the right amount. I love lavender so I wouldn’t mind either way, but I thought it was a lovely touch for a night cream. It’s non-greasy and again a little goes a long way. My pores don’t ever feel clogged or my skin weighed down. Coupled with the serum, it gives my skin the refresher it needs after being exposed to the elements during the day. Most of all – my skin looks and feels great. I definitely get the desired results. Like the serum, the creme is also $9.99. Soooo what I’m saying is GET THEM! You know how we love a good mask as much as we do DIY? Well why not a combination of both? A clay mask you mix yourself when you’re ready to use it. There are 3 options: Green for oily and problem skin, White for sensitive and dry skin, Grey for normal skin. I went with the green seeing as I have oily skin. Let’s get to mixing. Oh! On that note, I have a question: ever had a mortar and pestle you’ve been dying to use? Don’t front, it can’t just be me. When the instructions specifically said not to use plastic or metal for mixing, I was like SCORE! There isn’t anything to grind, but that factor is neither here nor there. The clay is loose and powder-like in consistency and all that has to be done is add water to make it into a paste and then let it set for about an hour before use. The instructions said to add water to a cup of the clay, but that results in a substantial amount of the mask (4 to 5 uses). So depending on how often you intend to use it, modify your measurements to less. There are also other ways to use the clay (body mudbath) but so far I’ve only used it on my face. Once the paste is set and ready to be used, apply it to your face it let it dry – It usually takes about 10-15 minutes depending on how thick your paste is. I stored the leftover in a small glass container that I had kept from a previous product to re-use. When comes time to use it, I add a little bit of water to loosen it up and apply to my face. After the 10-15 min wait and I’ve had my fill of flexing my face so little crumbs of clay fall off, I rinse my face with warm water and then cleanse my face with Giovanni skin products I recently reviewed. My skin is not just firm – it’s tight and almost feels lifted. When I first used it, I thought it had dried my skin out too much but quickly realized that it was tightening my skin. By the time I had completed my entire skin care routine, I felt like my skin was thanking me. Then the more I use it, the happier I was with it. In other words, I love it. I use it once a week to help with restoring elasticity. It comes in 2 sizes: 450g and 900g – I got the 450g for $11.99 and that is WAY more than enough! IF you’ve been looking for a mask that gives the firming results you desire, I’d recommend this line. This gets a definite GET IT! This GIFI is a NYX edition for me this month. I could make most months NYX editions because I flat out love their products. They are high quality, super affordable and they are always keeping up with the trends and coming up with new offerings. I have been trying to get my hands on the Highlight and Contour Pro Palette for a long time. Yes, I know that the Anastasia and Kat Von D contour kits are supposed to be the bee’s knees but since I have always been happy with my MAC Harmony blush, I didn’t see the need to shell out the big dough for one of those. 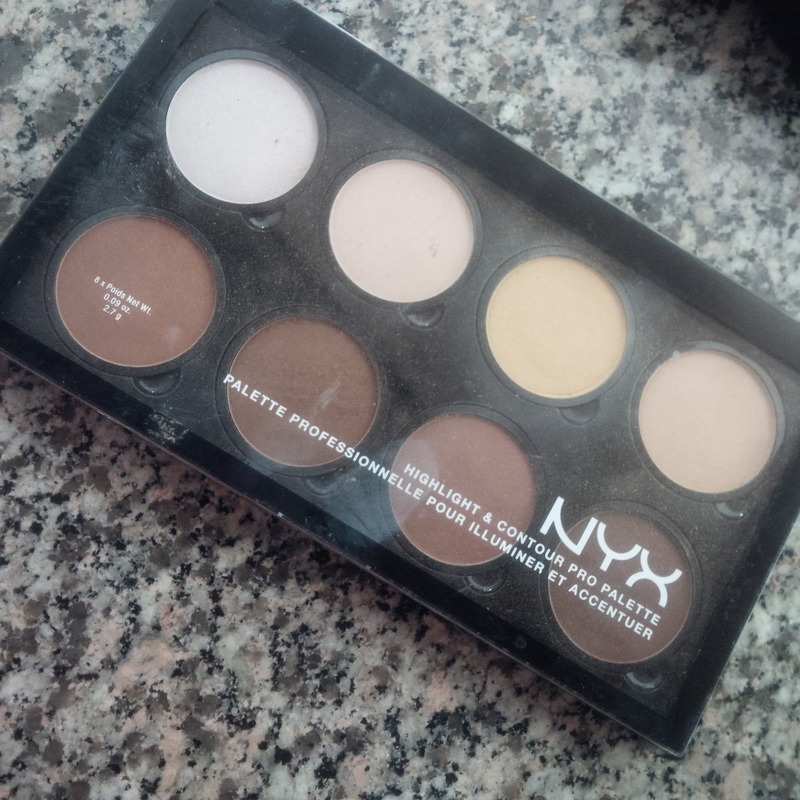 But, when NYX came out with their version at half the cost of others, I knew that with Ulta coupons this could be an affordable foray into the contour palette world. For the longest time, I just could NOT get my hands on one of these suckers. We don’t have Ulta in Canada-land so I headed to stores in Buffalo and Las Vegas to grab a contour palette. But, no dice. Always sold out. As a matter of fact, everything I want is always sold out at Ulta. American readers, is this a thing? So, imagine my delight when I ventured to a spectacular multi floor Ulta in Chicago and found all of the products my little heart desired. Here is what NYX has to say about the Pro Palette: Define your features like a pro with our refillable highlight and contour palette! Each set includes eight customizable highlighting and contouring shades perfect for emphasizing your favorite features. When it’s time to swap out a pan or two, you can find the palette’s Pro Singles. The palette includes eight huge pans of product, 4 highlight colours and 4 contour colours. The shades vary enough to be used (or combined) for many skin tones. I like that there is a contour shade that pulls a bit red to add some bronzy tan tones to the skin and more ashy to simulate shadows. 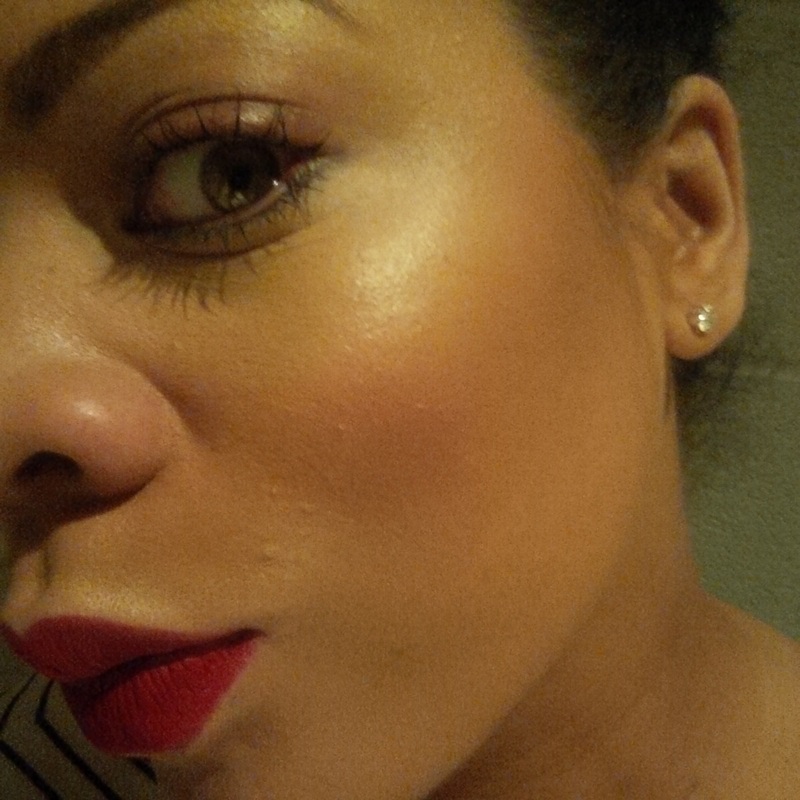 I haven’t experimented too much with the highlight shades, except for the most yellow one. I have been using it daily to set my under eye Anastasia concealer and it does a good job of keeping the area bright and locked all day. The powders are all very richly pigmented and blendable. I appreciate that the yellow one is much less messy to work with than my Ben Nye Banana powder. I apply contour powder with a Real Techniques expert face brush. I wear this in lieu of blush. I apply to the hollows of my cheeks and then blend using small circular strokes. The high pigmentation of these means that a little goes a long way and they blend out like a dream. Seems like I’m headed towards the “GET IT “route with this, huh? Not so fast. My issue with this product is the way that it wears through the day. I find, that on my skin the contour colours tend to migrate and become a harsh muddy line through the day. It may not even be a difference perceivable to others, but it definitely drives me nutso. I used to have a similar issue with Nars Laguna. For some reason, this product just doesn’t stay where I put it and I swear the colour oxidizes to give me a bad case of the dirty face. The Pro Palette was $24.99 USD and I used a $3.50 off Ulta coupon to purchase it. That brings the cost of each shade in the palette down to $2.68! I want to love it, I really want to love it. But because I am just not happy with the way it looks at the end of the day, I have been reverting back to my other products. I think I will play around with primers and setting powder to see if I can make this work. 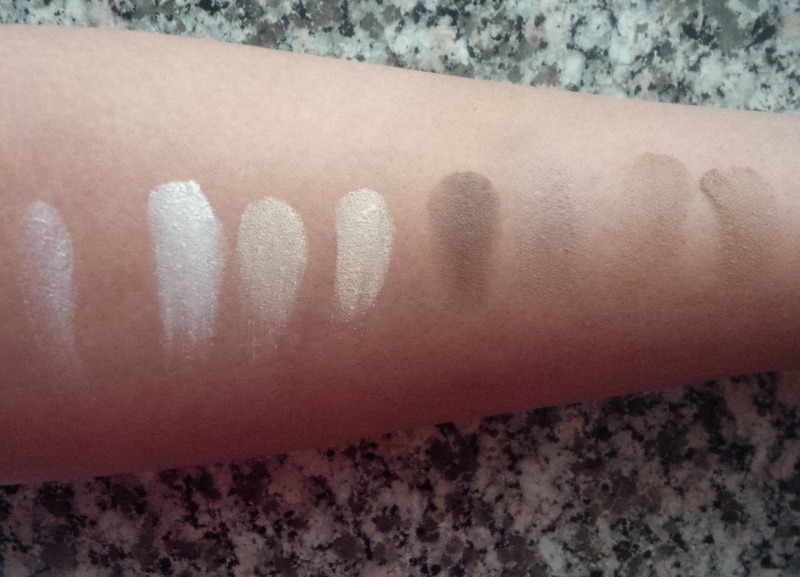 I think the colours will also make for beautiful eyeshadows. But, in the meantime, I’m going to give it a disappointing FORGET IT! 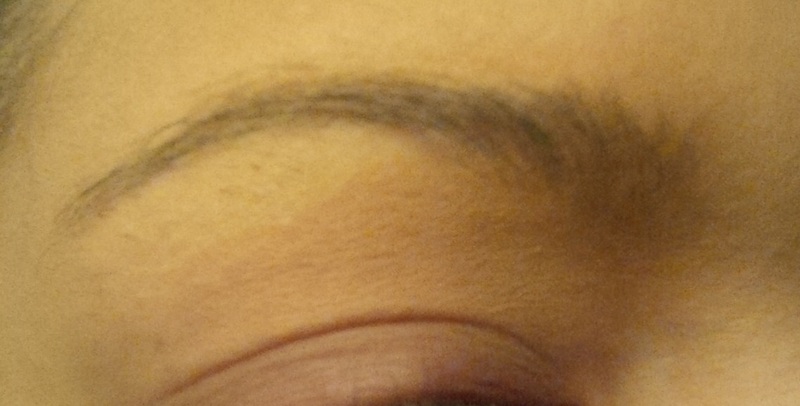 As far as eyebrow pencils go, I usually do pretty well with my Rimmel Brow Pencil in Hazel. I don’t fill my brows in very much, I just use a pencil to create a bit more definition. I have been playing around with some of the auto sharpen eyebrow products because I love that A) there is no sharpening necessary (nobody got time fo’ ‘dat) and they have such a precise sharp point making it easier to mimic hair. I have tried the uber famous Anastasia Brow Wiz but it costs a small fortune considering I can get by doing the little bit of brow penciling I do with a five dollar Rimmel product. I also tried a Sephora version of the pencil. Remember that? While it was great, it lasted two weeks. Umm…no. 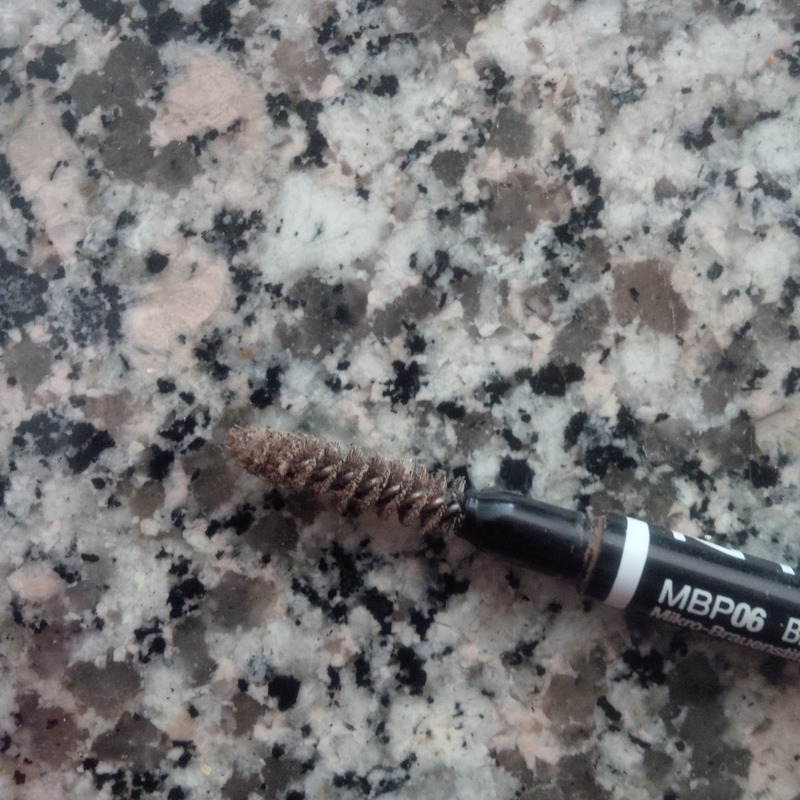 I recently picked up the NYX Micro Brow pencil. This product is $10USD at Ulta and they almost always have sales and coupons that you can apply. When I bought mine, NYX products were buy one get one half off so I got two pencils for $15. 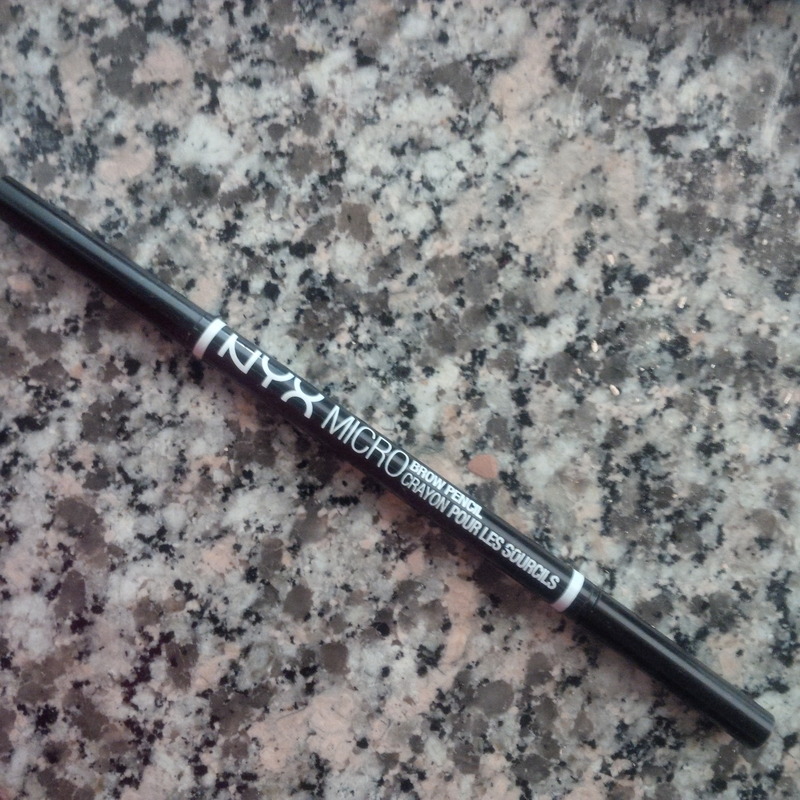 NYX says that you can build full, beautiful brows with the ultra-thin Micro Brow Pencil. It is so precise it coats even the finest hairs with color for a natural-looking finish. The Micro brow pencil comes in 8 shades. Curiously, this includes black. 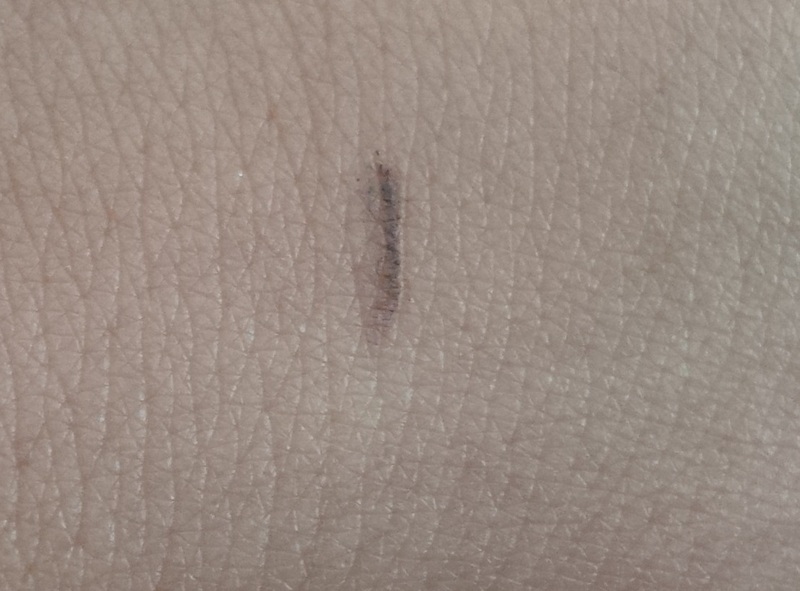 I’m hoping this is to be used as an eyeliner because no one should everrrr use a black brow pencil. Way too harsh, even for raven haired beauties. I picked up the “Brunette” shade of this pencil and it is perfect. It is not too red as brow pencils tend to be. My favourite part of this pencil is the sharp precise line that you can achieve using it. I don’t pencil in my brows too much but I imagine that this would be great for those with super sparse brows as it would be so easy to mimic little hairs with the precision point. I also love the spooly brush on one end of this product. It is way more effective at softening the lines than the flat brush on my Rimmel pencil. Very helpful. The way I use the Micro Brow Pencil is to draw a row of teeny strokes along the underside of my brows and then extend the tail a bit. I don’t touch the inner edges or the tops at all. I then use the brush attachment to blend and soften. I definitely like the way that this product helps to make my brows look cleaner and more defined. It stays on all day and I have even received some eyebrows on fleek type compliments since I started using it. The price is right, and the product is great…GET IT!